The wireless alarm system SA 2700 from Blaupunkt can score with ease of use and functionality. For the complete protection of a one family house, the SA 2700 offers up to 30 wireless sensors. The system features a GSM module, which can inform up to six people via SMS or telephone if there is an alarm. On site, the integrated siren issues a loud alarm sound. The system can be combined with different hazard alarms to create an overall protection. This includes smoke and heat detectors as well as motion detectors, different sirens and the respective control accessories. 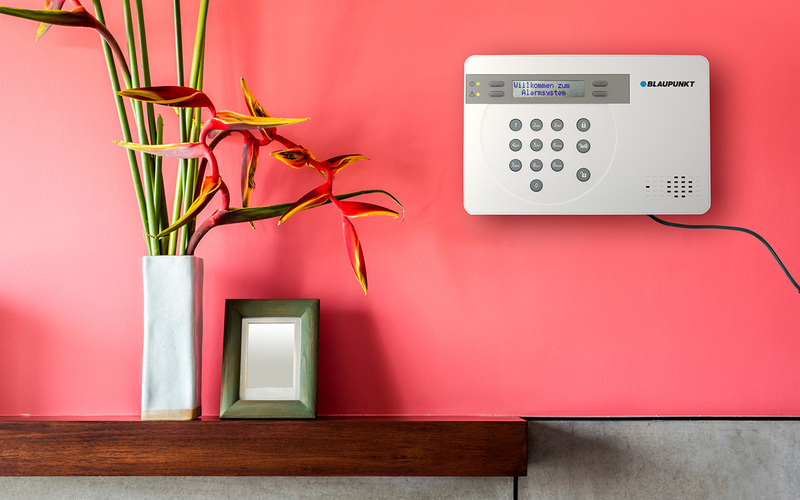 The operation of the alarm system works with the keypad or the Connect2Home App via smart phone. The wireless remote control is an additional alternative.